JERUSALEM - The European Union says it will not recognize Israel's sovereignty over occupied Golan Heights, despite U.S. policy reversal on the disputed territory. The EU Foreign Affairs Department said in a statement Wednesday that it was the "unanimous position" of all 28 member states not to change their stance in line with U.N. resolutions that identify the Golan Heights as occupied territory and reject the seizure of land by force. Israel captured the Golan from Syria in the 1967 Mideast war and annexed it in 1981. U.S. President Trump signed the proclamation recognizing Israel's authority on Monday, upending over a half-century of U.S. policy. 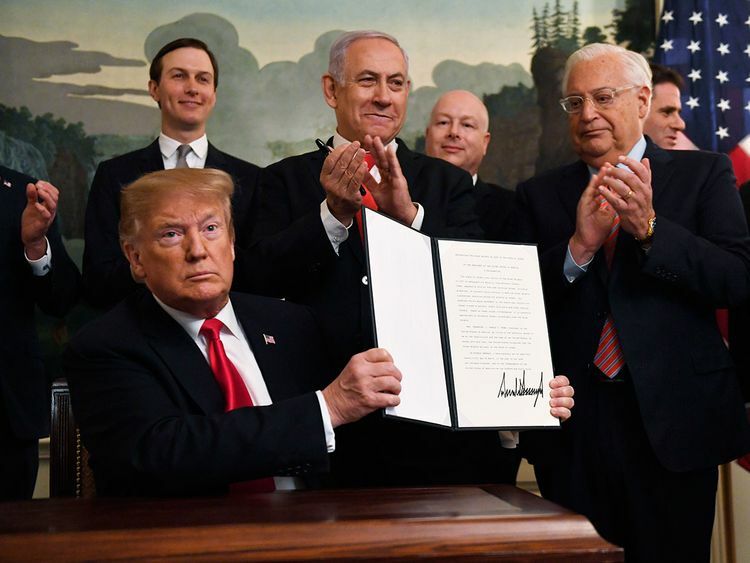 The U.S. is the first country to recognize Israel's sovereignty over the Golan, which the rest of the international community regards as occupied territory.